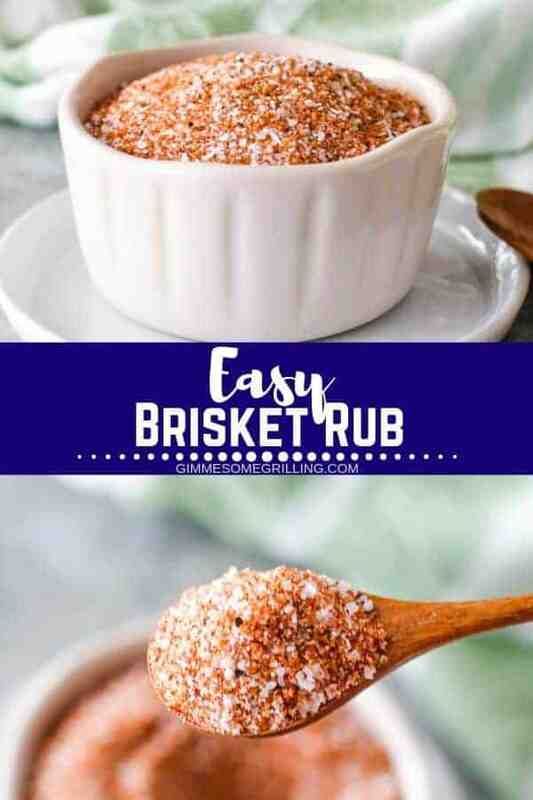 This super easy Brisket Rub recipe is so delicious and will make your brisket the BEST! 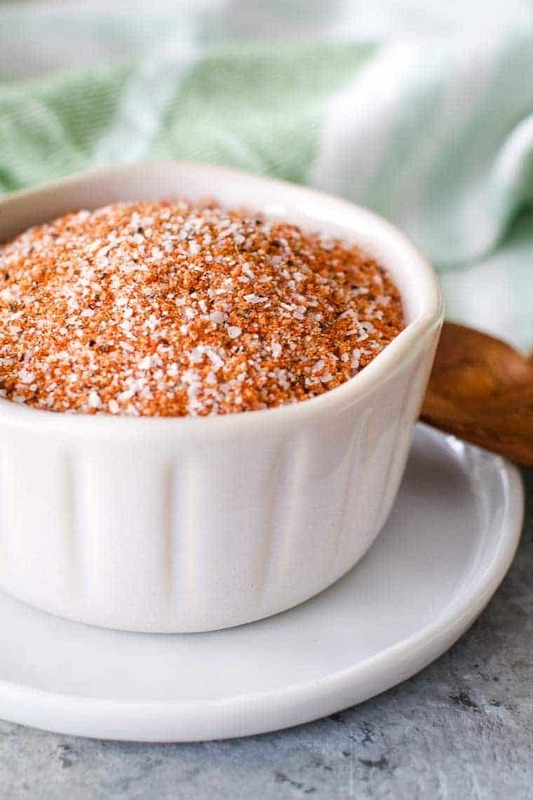 Only six spices sits between you and this delicious smoked brisket rub. Mix it up, grab your beef brisket, fire up the smoker and you will be enjoying brisket in no time at all! Jason does all of the smoking on the Traeger. My job? It’s making the rub. I like that because it’s a combined effort. Only my effort takes less time, but that’s ok, right? I justify this by reminding myself it’s all about the flavor and the rub – that’s what makes a great brisket! Brisket is one of my favorite cuts of meat on the smoker. Properly smoked brisket has a delicious crust and is moist and flavorful. Plus, I birthed three children for him so that trumps anything in my opinion! I love putting together different rubs for the specific cuts of meat. Great rubs like Dry Rub for Ribs, Sweet and Smoky Rub or Montreal Steak Seasoning and now I’m sharing my delicious rub just for brisket! Jason has now spoiled me because I judge ever meal at a restaurant against his smoking talents. We were at a banquet the other night and we were served brisket. In the middle of the meal I leaned over and said this brisket is fairly good but you’ve spoiled my taste buds forever because it’s not nearly as good as yours. I have to say he was beaming! 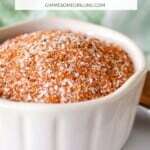 Why make my own rub? Flavor of course! I love being able to control the spices. Like more spice? No problem! Prefer a little sweetness? Easy enough! Also knowing what is and isn’t in your food is important! 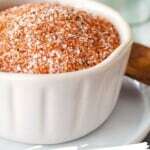 Many store-bought brands contain MSG. And though a flavor enhancer, MSG does not have good health benefits. Suffice to say I don’t want to feed it to my family. Pretty sure you don’t either! 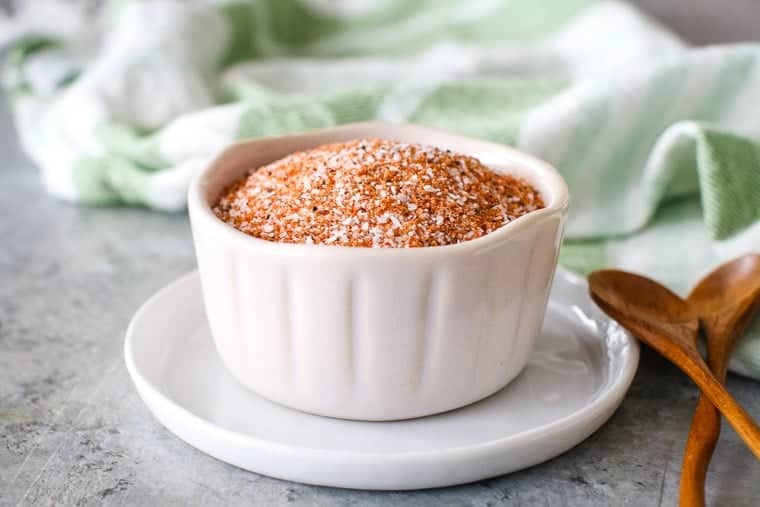 I truly think the rub can make all the difference so gather the ingredients, which I’m guessing are probably sitting in your pantry, then take the 1.5 minutes it takes to measure them out and stir them together! Plus, you can alter it a bit if you prefer something else! Add all of the ingredients to a small bowl and mix together well to combine. That’s it! What is the BEST way to store homemade rub? I use a small mason jar. A screw top jar works great because it can be sealed well. Store in the pantry or even the refrigerator. This will easily keep for up to six months when well sealed. 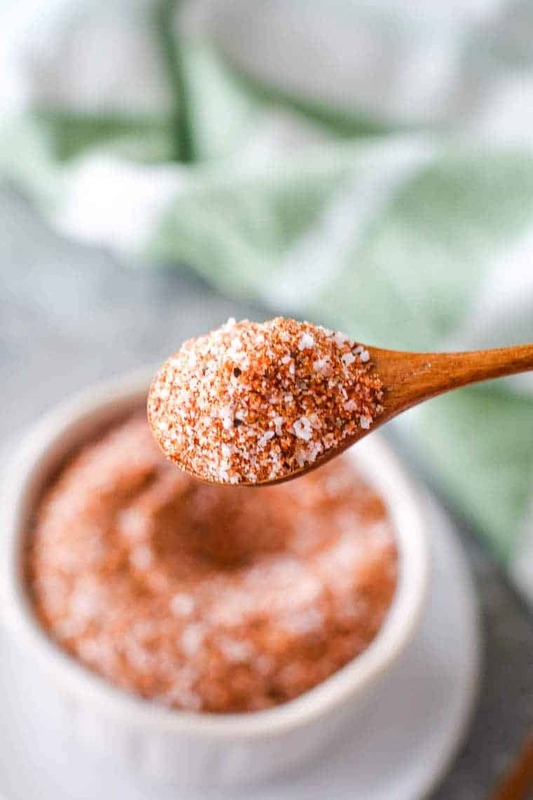 How can you tell if your spice rub is going bad? Over time spices lose their potency, they really don’t spoil. If it’s been in the cupboard for a while, just give it a taste test. Is it flavorful or is it bland and lifeless? If it doesn’t have any taste, it’s time to toss it and mix up another batch! How do you apply rub to a brisket? Generously! I use lots of rub on my brisket. The rub creates a crust on the meat as it smokes. This crust gives each bite more flavor. Don’t sprinkle the rub on the meat, make it a workout! Work the rub into the meat and get flavor into the meat. Rub all sides of the brisket. Get the seasoning on every inch of the meat and into all the nooks and crannies. Then it’s ready to smoke! 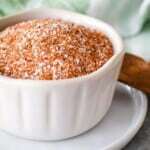 Here are some great recipes using homemade dry rubs! And a few more dry rubs! Don’t forget to tag me on Instagram @julieseatsandtreats or #julieseatsandtreats! 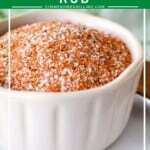 If you love this rub, be sure to comment and leave a 5-star rating below, I’d really appreciate it! 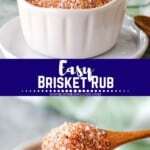 Quick and easy brisket rub perfect for your smoked brisket! It's only six spices and it will take your brisket recipe over the top! Mix all ingredients in bowl. Store in airtight container for up to 3 weeks. I can close my eyes and taste the deliciousness of six simple spices! Nice mix! Thank you for sharing this rub!! 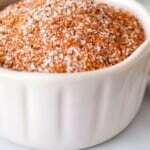 Now I have a great base recipe and can adjust to our tastes!! Thanks for sharing! You’re welcome! I hope you love it as much as we do! Yes I am! It takes every piece of meat over the top! This rub definitely takes brisket to the next level. My husband uses a rub almost identical to this. We love experimenting with new rubs and spice combos when we do brisket or even pulled pork in the smoker. My husband was excited to give this one a try and it didn’t disappoint! Yum! So glad you enjoyed it! We LOVE using new rubs to a fresh twist on our favorites!